Insalate fantasiose e ricche di sapori ! Focaccia sottile e fragrante! Da ripetere! Great Italian food, good surprise with the focaccia salade ???????? very good service! We enjoyed it very much! We’re very disappointed. We took salads with crab and shrimps and pizza. Pizza is good, but salads are awfull. They write crab meat but in fact it’s with crab stick. They write shrimps but in fact it’s canned shrimp. The portions are very big, but 95% of the salad is greenery. 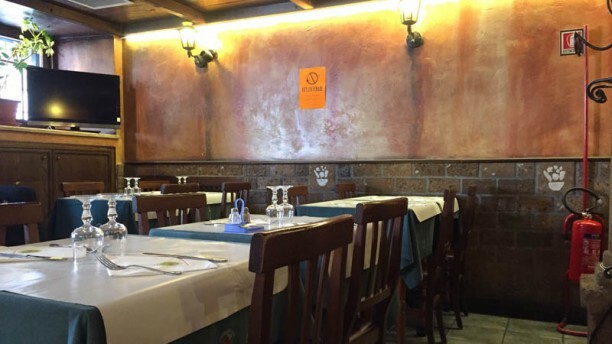 We booked the table on TripAdvisor site with 50% discount, but when we asked a receipt, it was without any discount. Only after our comment they applied a discount. Grazie ! E' sempre un piacere apprezzare le nostre insalate e la vostra disponibilità. Their salads look amazing but the entrees not as good.